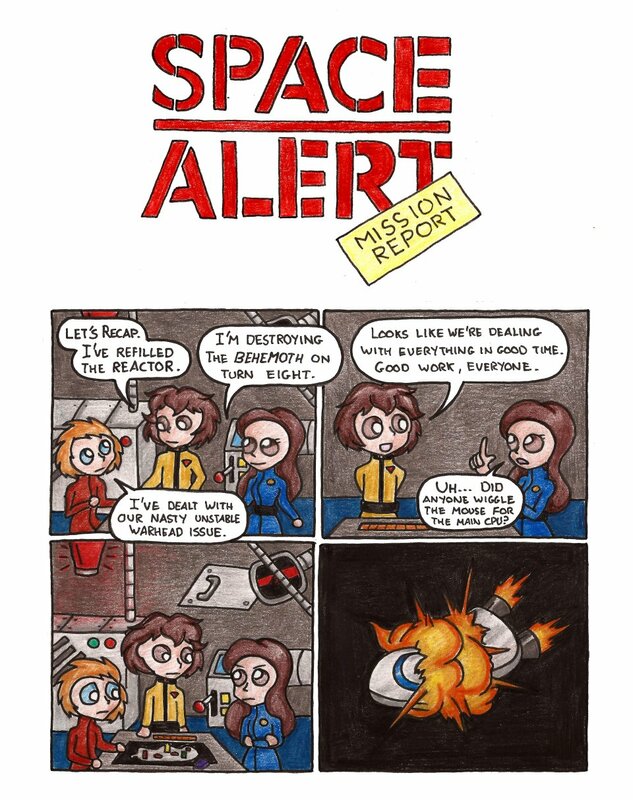 I’ve been playing a lot of Space Alert recently, a boardgame where you pilot a terrible spaceship through a series of dangerous scenarios in the most incompetent fashion possible. It’s basically like Roborally, only you’re all on the same team, but you get in each other’s way more, and you have to program in 12 actions rather than 5. Also your spaceship is so terrible that if you don’t wiggle the computer mouse, it goes into power-saving mode and all your plans stop working. But people can’t really thumb-up a comic, they can only comment on it. Ah no, I need thumbs-up on the BGG forums, where I cross-posted it – that’s where the hyperlink goes.